The European Leadership Forum is led by a steering committee, consisting of the following eight members. Lars is a theologian, educator, preacher, and apologist. Having a long previous experience in various academic leadership roles, he now works as Associate Professor in Systematic Theology and Christian Apologetics at Gimlekollen School of Journalism and Communication (NLA Kristiansand), where he has lectured in worldviews, ethics, and apologetics since 1991. Lars wrote his PhD on Acts 17:16-34. It is entitled An Apologetic Model Then and Now? (Open University, UK). Since 2013, he is also the Lausanne Catalyst for Media Engagement. Lars has written several academic and popular articles on apologetics, media engagement and missiology and was a co-editor of The Lausanne Movement: A Range of Perspectives (Oxford: Regnum, 2014). He is also the Founding Editor of the peer-reviewed Nordic apologetic journal Theofilos. In addition, Lars co-leads the European Leadership Forum Media Communicators Network with his wife, Margunn. 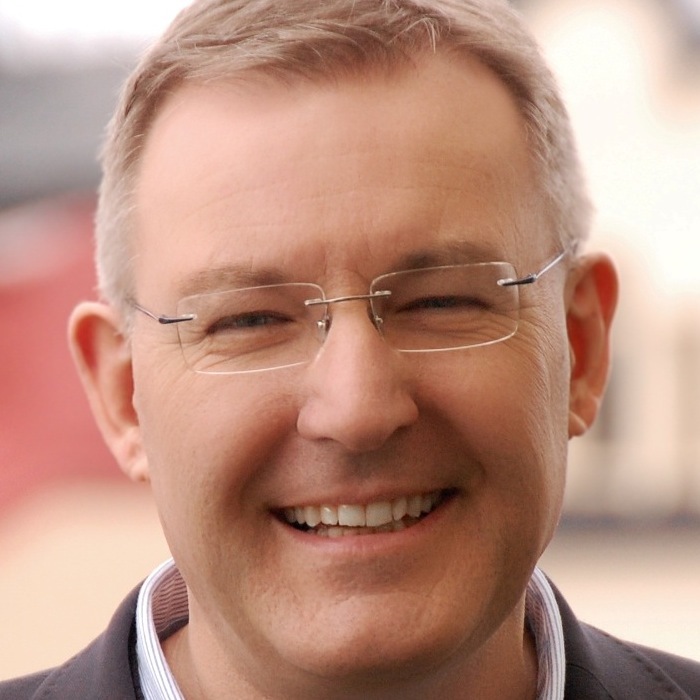 Follow Lars on his blog Media Messages Matter or on his Twitter account @LarsDahle. Alexander is Director of the Institute for Faith and Science (Institut für Glaube und Wissenschaft) in Marburg, Germany (www.iguw.de). He studied physics at the universities of Bayreuth and St. Andrews (UK) and received his PhD at the Institute for Biophysics at the University of Regensburg. After having worked as an industrial product manager, he became director of SMD graduates' ministry (Akademiker-SMD, the German branch of IFES) until 2014. His passion is the dialogue of science, faith, and worldviews. Hence he founded the Kepler-Forum in Regensburg, coorganising the annual Regensburger Symposium (www.regensburger-symposium.de) at the University of Regensburg. Since 2008 he has been a member of the ELF Steering Committee and has co-led the Scientists Network. Together with his wife, Alexander enjoys raising his two children. Stefan is the director for Apologia – Centre for Christian Apologetics and makes his home in Stockholm. He was the founding General Secretary for the Swedish Evangelical Alliance. Stefan travels widely with apologetic teaching and training and is often involved in university evangelism and public debates. He is the author of several books on Christian apologetics and the Christian mind. Stefan is married to Ingrid and they have three grown children. Jaroslaw was born in Eastern Poland. In 1989, at the age of 17, the Lord called him to preach the Gospel in the Soviet Union. After graduating from Warsaw University, Jaroslaw moved to Belarus where he founded John the Baptist Church in Minsk and initiated a number of ministries, mainly aimed at evangelizing young intellectuals and spreading the Christian worldview in various spheres of society. In 2007, after 14 years of living in Belarus, Jaroslaw was accused by the neo-communist regime of being a national security threat and was deported. In 2008, together with his wife Natalia and four children, he moved to Kyiv, Ukraine, where he has lived ever since. In 2011, Jaroslaw began the Eastern European Leadership Forum. In 2016-17 he was invited to join the Central Steering Committee of the 500th Anniversary of Reformation in Ukraine. Together with the team of Eastern European Reformation he carried out many different projects (media, educational, evangelization etc.) within the program Reformation 500. Since 2018, Jaroslaw serves as the director of the School of Reformation, which is focused on training and equipping the Christian ministers for the Public Square in Ukraine. Greg earned his MA from Trinity School of Divinity before continuing on to finish his PhD at Northwestern University. The intersection of theology, history, philosophy and sociology is Greg’s primary focus both in teaching and writing. He has taught graduate-level courses on apologetics, theology, history, leadership, the New Testament, ethics, and Christian Thought at American, European, and Asian institutions of higher learning. His book, Willow Creek Seeker Services, has been published in four languages. Currently, Greg serves as the President of the Forum of Christian Leaders and as the Director of the European Leadership Forum. He, his wife, Lori, and their three children reside in Naperville, IL. Michael is President and Professor of Theology at Union School of Theology in the UK. Previously he has been Head of Theology for UCCF and an associate minister at All Souls Church, Langham Place, London. He is the author of Introducing Major Theologians, Why the Reformation Still Matters, The Unquenchable Flame, The Good God, and Christ our Life, co-editor of Adam, the Fall and Original Sin, and holds a doctorate in systematic theology from King’s College, London. He is married to Bethan, and together they have two daughters, Lucy and Mia. Emanuel grew up in communist Romania, but the faith of his parents had a huge impact on him. As a student he was involved in discipleship and during those years his student groups grew from 2 colleagues to more than 50. In 2001, he joined the staff at Emanuel University of Oradea where he is serving now. He completed his PhD in software engineering in conjunction with University of Nice, France, and then he earned his MA in Pastoral Theology in Oradea. Both his involvement in academics and in the church aim to evangelise and mature disciples for Christ. He is married to Nadia and has three boys.